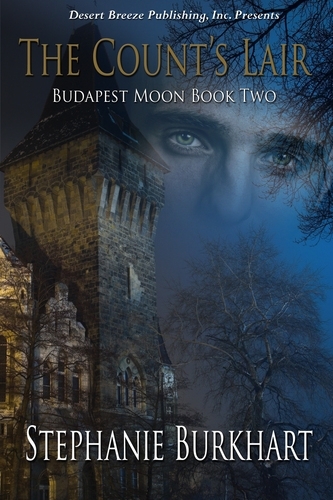 A bit over a week ago, I posted the trailer for this book and promised a review when I finished reading the story and closer to the day you can actually buy it (February 1, 2011) here: http://stores.desertbreezepublishing.com/StoreFront.bok Stephanie Burkhart has written this second installment in her Hungarian series. The first book was called, fittingly enough, The Hungarian. This second installment is called The Count’s Lair. And lair is an appropriate word for his home. I’m a huge history buff and have always been. I adore reading historical novels. I love the setting of this story. Budapest, Hungary is a beautiful city. Lots of old, gorgeous buildings and bridges. Ms. Burkhart does a great job in describing both sides of the city. On one side of the river is Buda and on the other is Pest and each has different characteristics. Ms. Burkhart also is quite good at descriptions of the foods and atmosphere of the city in 1901. I wanted to eat some goulash as I read this book and ride in a motor car complete with a driver (not at the same time). The Count certainly comes across as a handsome, decent man, albeit a man with secrets and a past that makes him vulnerable. I truly liked this hero. He falls for the heroine, Amelia, a concert pianist. He’s afraid they can’t have a life together and offers her a series of clues to guess his secret. The story moves along through the Christmas season and culminates in an interesting outdoor scene in the middle of winter. This hero truly has to work to win the day. I enjoyed this book and I would recommend it. I’m now going to have to read the first one as my interest has been piqued to learn the history of The Hungarian. Pick both these up and enjoy! I also enjoy Stephanie’s writing and the sense of being transported to her worlds. Steph is a master of transportation!LOL! What a fabulous review, Steph. I can’t wait to read this book. Thanks for popping in Keena. This is absolutely a must read.